We thank you for your sponsorship of Palos Verdes Little League and hope that you will continue your support of PVLL for the 2019 season. This past year, your collective sponsorship funds supported significant improvements across PVLL including our turf project at Valmonte, upgraded netting around fields, much needed repairs to chain link fencing and several new pitching machines– not to mention the (not-so) routine improvements to all of our fields. In addition to improving PVLL, we also donated funds to support the PV Challengers, a program focused on creating athletic opportunities for special needs children in our community. Again this year, we will be embarking on various safety upgrades and facility improvements over the coming months. 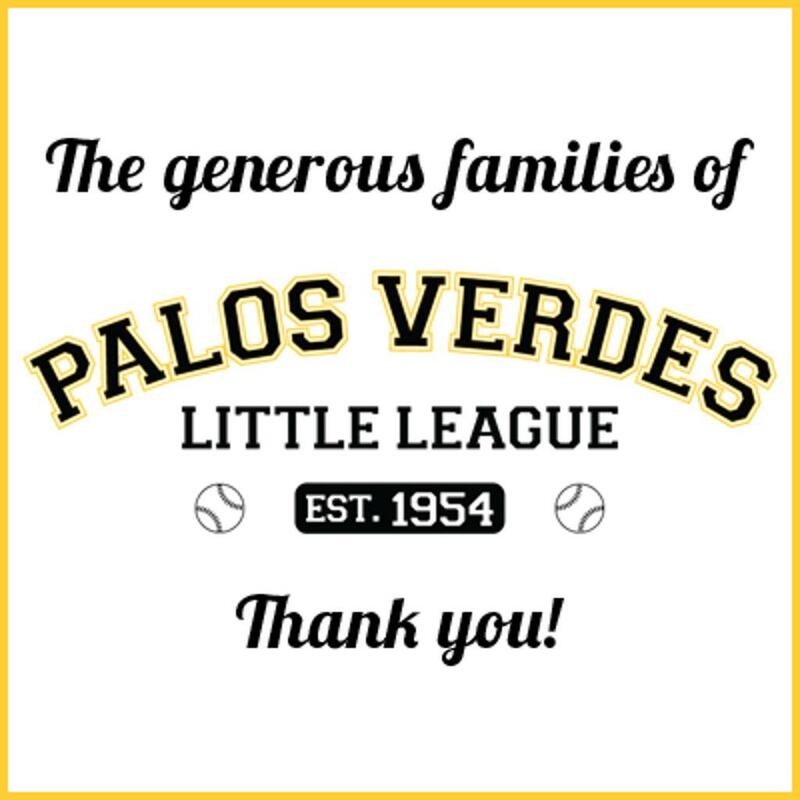 As a registered 501c.3 nonprofit organization, Palos Verdes Little League utilizes our registration fees to support our teams with uniforms, equipment, umpires, and day to day field and facility maintenance for the league. As our facilities and capital equipment age we rely heavily on individual and corporate sponsorship to fund small and large capital projects to keep our league at the forefront of comparable regional youth athletic activities. The need for supplemental funding for organizations like ours has never been greater. THANK YOU FOR YOUR SUPPORT OF PVLL and our causes!!!! Interested in ordering a banner for either Valmonte or Malaga Cove? Contact Alex Kouzmanoff at sponsorships@pvlittleleague.com. Our 2019 Golf Tournament will be hosted at Los Verdes Golf Course on Monday, April, 15th 2019. More information to come.